Calocephalus citreus is a small member of the daisy family, growing 20-50 cm high by 30-60 cm wide. 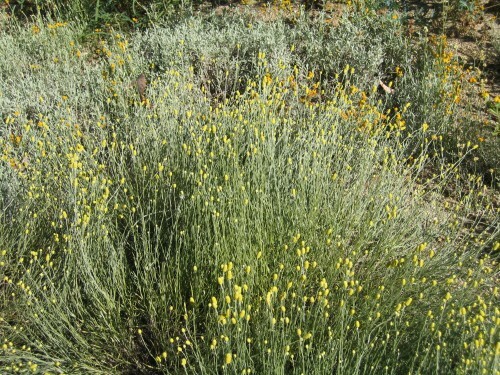 It has silver grey foliage and small, yellow button type flowerheads in late Spring to Summer. The photo was taken in early January at Canberra Botanic Gardens. 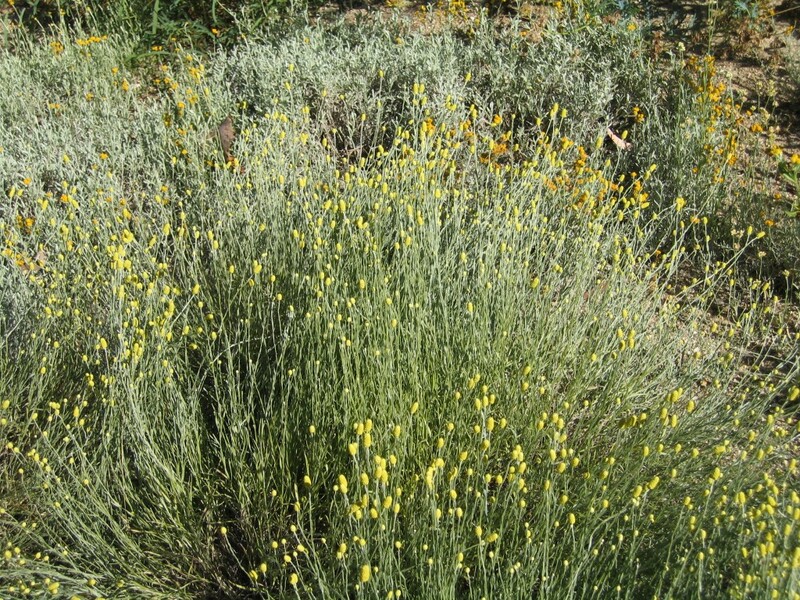 This plant is perennial and should be pruned after flowering when new growths begin near the base of the plant. It is hardy in most situations and withstands dry periods. I would call it a drought tolerant plant when I observe its survival here. It grows in loam and sand, in half to full sun, including dappled sun. This attractive daisy dries well for use in flower arrangements.